Even though Thanos has been trying his damnedest to get her attention for aeons, Marvel's abstract concept of Death has been spending the bulk of her time lately hanging out with Ben Reilly, Spider-Man's clone. 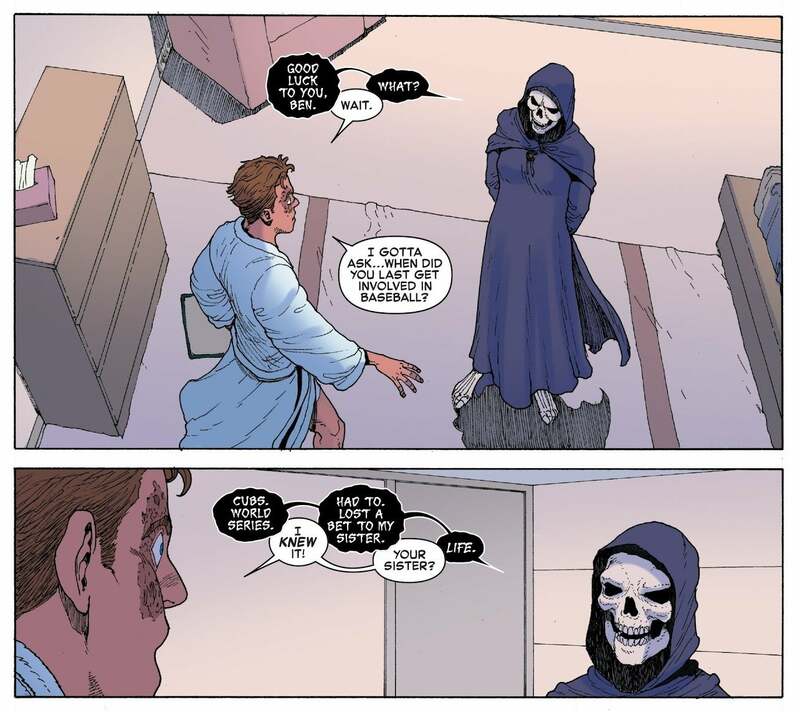 In this week's Scarlet Spider, Death visited Ben for a friendly chat about her involvement in the 2016 World Series. 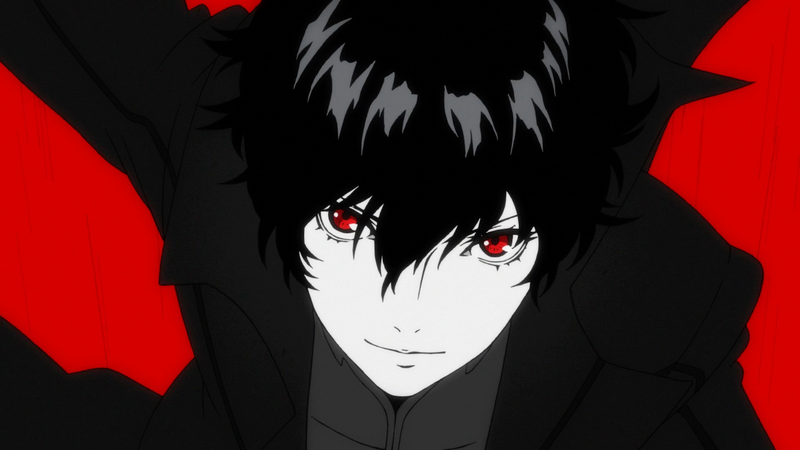 Because of the number of times Ben has died and come back to life, Death's developed something of a quirky fondness for him, promising that she would spare his soul so long as he took care to heal it by committing acts of good. Ben, a man who's had a history of doing not-so-great-things to people around him, has been trying his best to hold up his end of his deal with Death. But after he almost beats (an admittedly corrupt and shady) casino owner to death, Death checks in on Ben and restores some of the gruesome scar tissue to his face that she once wiped away as part of his resurrection. Angered and confused, Ben demands to know why Death's punishing him and the cosmic entity explains that so long as he continues to commit subjectively "bad" deeds, his body will wither away before he ultimately dies. The only way for Ben to hold onto this last chance at life, Death explains, is to become a truly good person. The Cubs won the World Series in 2016 for the first time in since 1908, breaking the team's 108-year-long curse that haunted their fans. 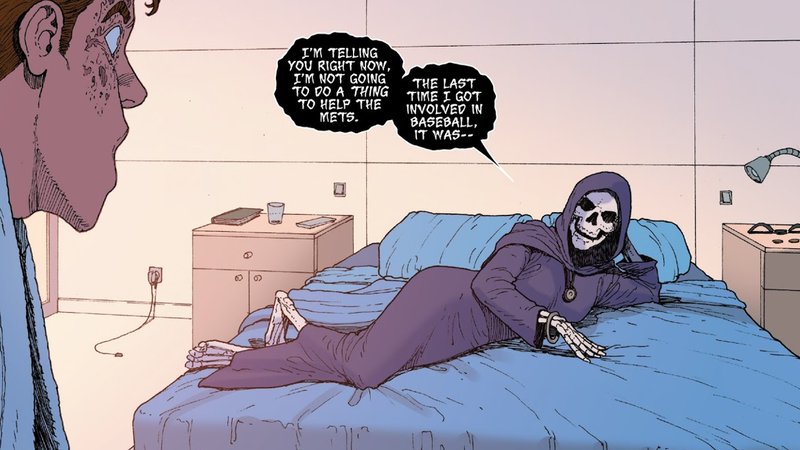 Death's casual mention of having zero interest in helping the Mets is obviously a nod to that team's own curse and the fact that both Peter Parker (and Ben by extension) are longtime Mets fans. Moral of the story: Your favourite team with bad luck probably is cursed and said curse is here to stay until another being from outside the reaches of our understanding deigns to do something about it. A quip about a bone would be too crude, right?